If you are an M&T account holder, you can access your credit score from Equifax, one of the three major credit bureaus, for only US$2.99 per month. The score you are going to get is a FICO score. 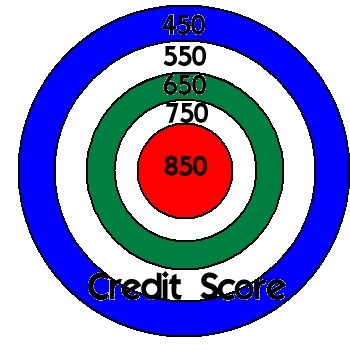 A FICO score is the Equifax score a lender would see if you applied for credit. It is made up of a three-digit score which range from 300 to 850. It combines information about you such as your payment history, credit card balances and other important factors that would provide creditors see your credit worthiness. M&T’s research found that its customers are very aware how important their credit scores are. Not only will it put you in good credit standing, but it will also allow you to monitor your financial security considering threats of identity theft. Your constant knowledge of your monthly credit standing will be protected assuming there are attempts to steal your personal information or when someone else applies for a credit card. The scores are updated on a monthly basis and you can track developments of your score over time for a fee. The fee is necessary because banks don’t have free access to your credit card scores and use it to pay credit card bureaus, and in the case of M&T, to pay Equifax for the scores. One of the many advantages you can get through M&T is that you don’t have to worry about misleading offers that you usually get from other sites. The difference? Most of these sites would entice you with free scores only to charge you in the end. They usually have hidden charges that go as high as US$15 per month. The credit score option was one of a menu of fee-based services the bank was introducing to help set M&T apart from its competitors. Just last month, it made available a suite of personal finance and budgeting tools called FinanceWorks, offered at 99 cents a month. M&T has about 780 branches throughout the mid-Atlantic states and the District of Columbia.